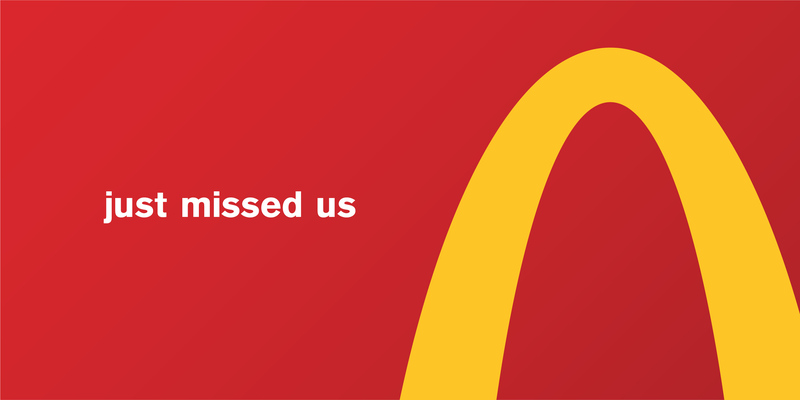 A desconstructed McDonald's logo and a Comedy Central satire about President Donald Trump's tweets have shared the Outdoor Grand Prix at Cannes Lions this year. In an unusual move, the Cannes Lions Outdoor jury decided to share the category’s top award between two very different uses of the medium. 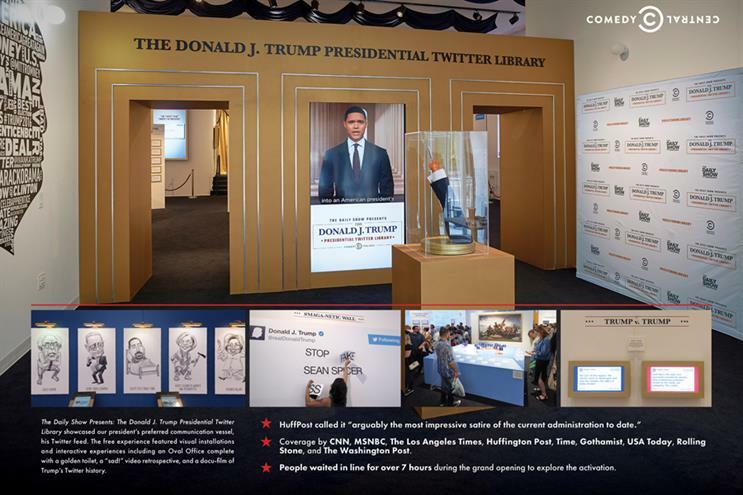 US pay-TV channel Comedy Central was awarded the Grand Prix for The Daily Show with Trevor Noah’s "Donald J Trump Presidential Twitter Library" (pictured above). The satirical outdoor stunt, which has been displayed in New York, Chicago, San Francisco, and Los Angeles this year, exhibits the US president’s prolific and often vulgar Twitter activity. Toronto marketing agency Cossette and McDonald’s were also awarded for "McDonald’s Restaurants of Canada Limited", which deconstructed the famous Golden Arches logo. Different parts of the fast food brand’s logo were used to create directional billboards and give consumers a nudge in the right direction towards the nearest McDonald’s outlet. Three UK ad agencies won Cannes Lions for outdoor – two silver and a bronze – out of a total 91 awards given for the category. WCRS won a silver Lion for the Born Free Foundation’s "#TankFree" campaign, which uses CGI and visual to create a series of life-size animated orcas. The ad invites the public to set the orcas "free" from captivity. OgilvyOne also won a silver Lion for IBM’s "#WhatMakesGreat" work from last year’s Wimbledon tennis championships. The tech giant used AI to assist visitors to the tournament, by introducing Fred the Wimbledon assistant, while its Watson tech combined 360 video and AR to enhance match coverage. Meanwhile, Google Creative Lab picked up a bronze for Google’s "Draw to Art", an experimental project which uses AI to allow users to match their photographs to famous works of art using a smartphone.